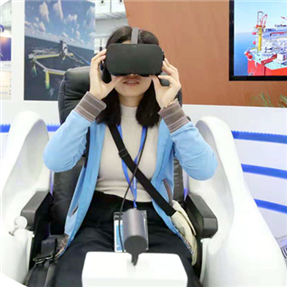 The China Marine Economy Expo 2018 will be held in Zhanjiang, Guangdong province, from Nov 22 to 25 under the supervision of the Ministry of Natural Resources and the Guangdong Provincial People's Government. 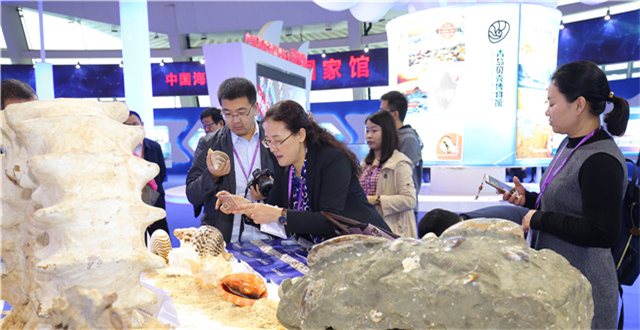 This is the only state-level comprehensive marine expo in China. 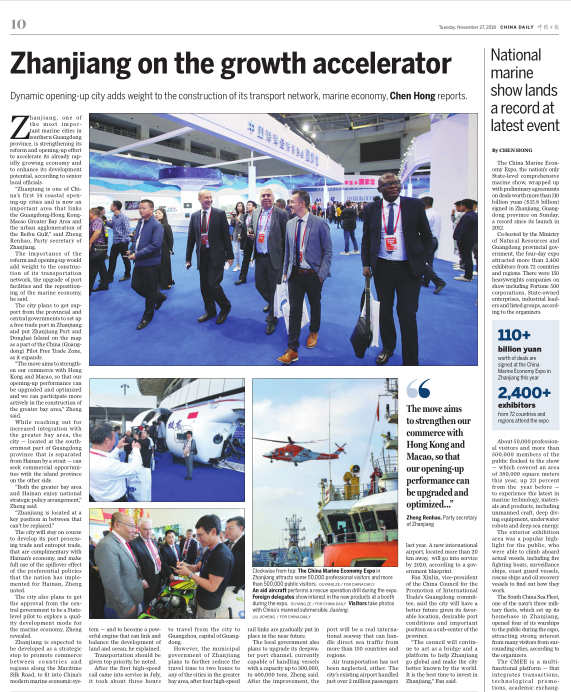 It aims to showcase the latest in marine vessels, port logistics services, marine energy, marine engieering equipment, marine technology, and tourism, while promoting marine economy and trade on the global stage. 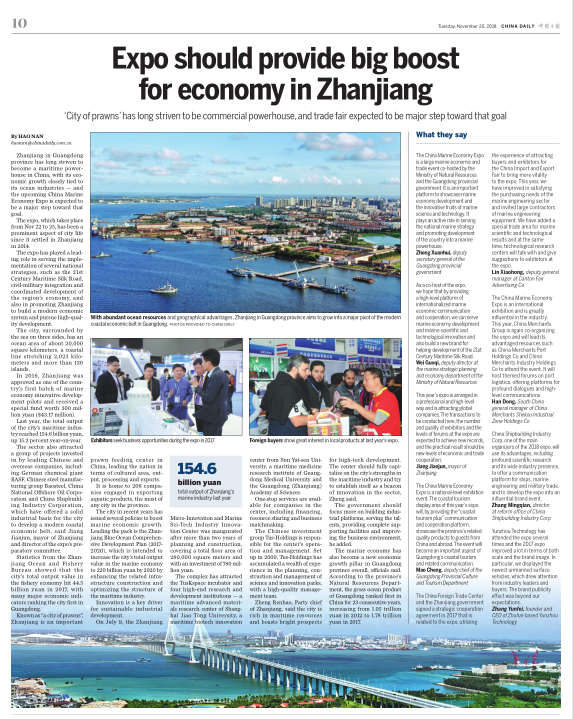 Dynamic opening-up city adds weight to the construction of its transport network, marine economy, Chen Hong reports. The First Global Conference of Leizhou Peninsula Merchants took place in Zhanjiang on Nov 24. Zhanjiang Olympic Sports Center, the main venue for the 2018 China Marine Economy Expo, is located at the north side of the Haiwan Bridge in Potou district. The China Marine Economy Expo Preparatory Committee offers hotel booking services for all exhibitors.